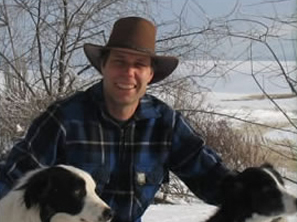 Craig Madsen has over 25 years experience working on range and pasture management issues, including grazing management, noxious weed control and resource inventory. He was a Range Management Specialist with the USDA Natural Resource Conservation Service for 14 years, and has worked as an independent rancher and range consultant since leaving the agency to establish Healing Hooves, LLC in 2002. Contact Craig for assistance with range planning for your agricultural land, including planning for profit, managing for healthy ecosystems and assistance with evaluating government program participation. Craig is also available to advise regarding starting a vegetation management business, or developing your own herd and vegetation management plan for your property.